Setting up for Success: Kate Kiser ’21 sets the ball during a match against Bates. The Polar Bears beat the Bobcats 3-1 after beating Colby the day before. Seeded third, with an impressive 8-2 record in the NESCAC, the volleyball team has its eyes on the Championship as the tournament commences this Friday. The team’s last game against Connecticut College (13-10, NESCAC 2-8) ended with a 3-2 victory, giving the Polar Bears confidence as they head into the tournament to face No. 6 Middlebury (16-8, NESCAC 5-5), a chance for Bowdoin to showcase its first-year talent. 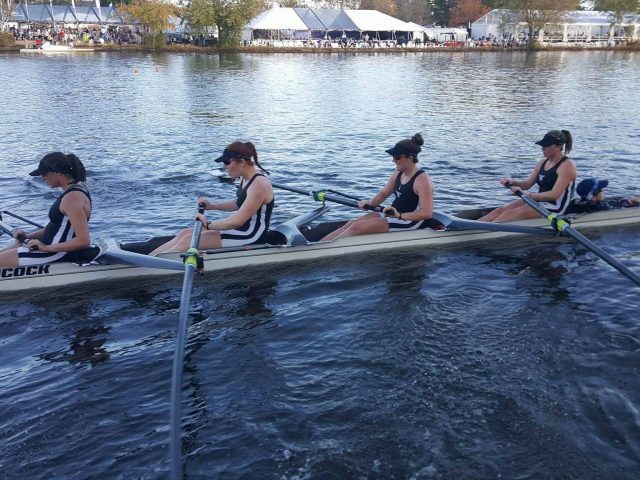 For the past 11 consecutive years, Bowdoin has made it to the NESCAC Championships. This is the third time in program history that the team has been ranked third heading into the tournament. Bowdoin won the championship in 2011 and 2015. The team is expecting a strong showing from Middlebury despite its sixth place ranking, the first in program history. 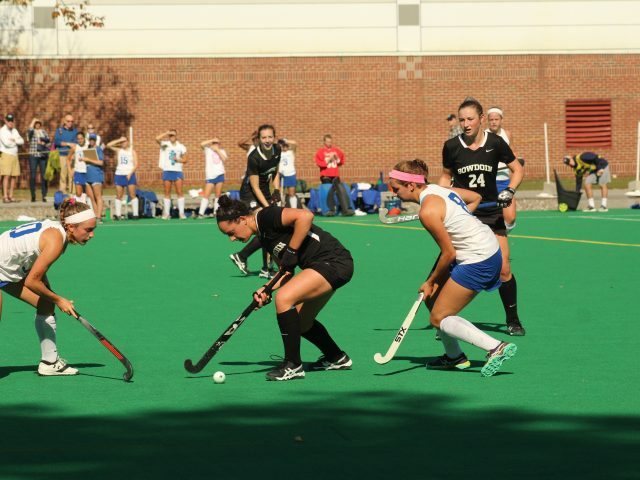 Middlebury is the defending NESCAC champion and has competed in all 19 NESCAC Championships. The Championships will also be a way for first years to gain experience. The team has suffered from injuries that have disabled some players from playing, including Clare McInerney ’18, a co-captain and setter on the team. With the graduation of many seniors, an exceptionally high number of first years have joined the team. They have had to fill many starting positions. “I think every one of [the first years] has had a significant impact as far as being involved in practices, and being involved on the court as well. We rely on them a lot. They are 6 out of 13,” says Albright. 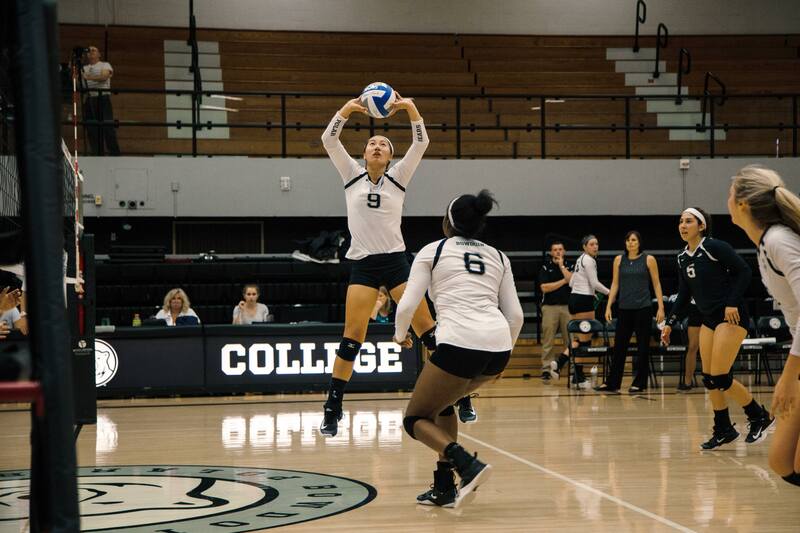 Kate Kiser ’21 has taken on the position of setter, surpassing Albright’s expectations for a first year in that role. In the last game against Connecticut, Kiser achieved 54 assists. Although the first years have had a strong presence on the court, Albright hopes that they will be able to adjust quickly to the new experience of NESCAC Championships. 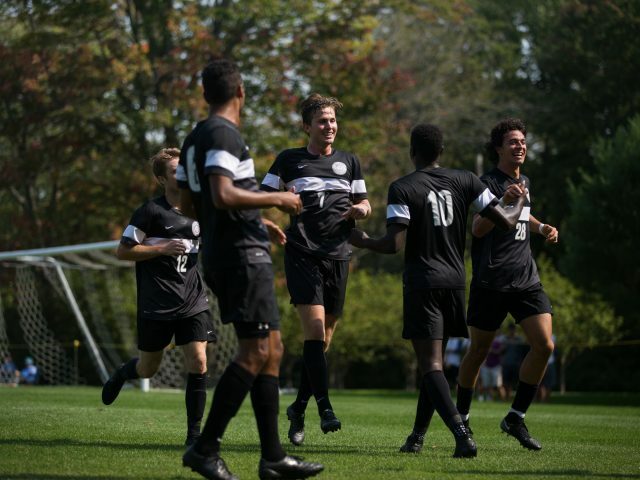 After losing to Wesleyan the day before, the Polar Bears are looking forward to going into the Championships following their close win against Connecticut College this Saturday. Albright says the team was given a chance to regroup after the loss to Wesleyan and improve their strategy for the game against Connecticut. 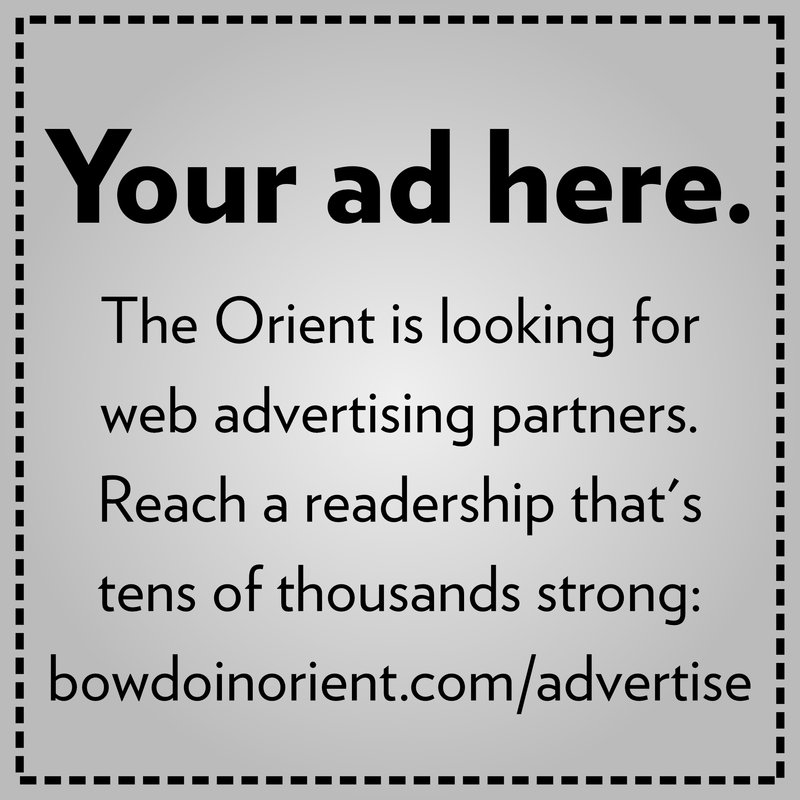 If Bowdoin wins its game against Middlebury, the Polar Bears could end up facing No. 1 Tufts or No. 8 Bates. The match against Middlebury in the quarterfinals will be held in Medford, Massachusetts at 8 p.m. on Friday, November 3.